If there’s one problem any storage facility has, can, and will run into, it’s a lack of space. No matter how much wire shelving and industrial storage your warehouse has, space is always at a premium thanks to the constant influx of new items, records that need to be stored, and so on. 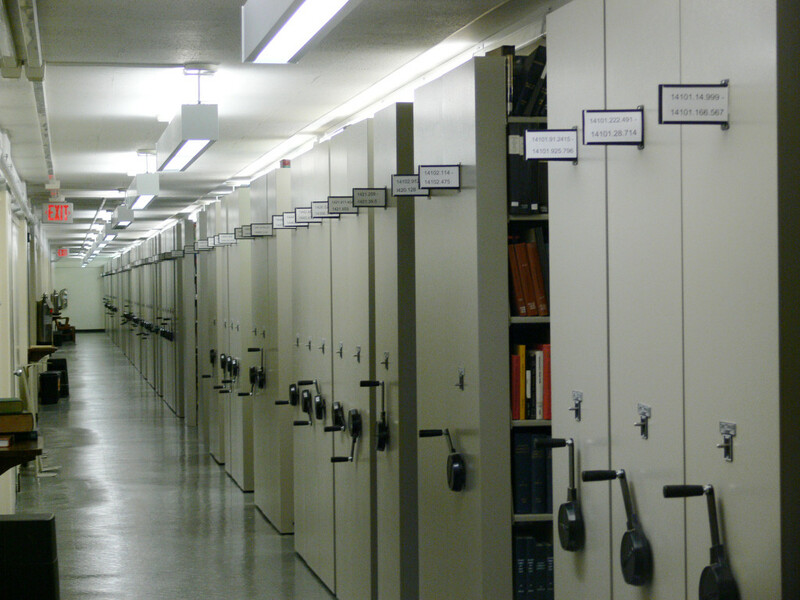 The size, shape, and easy categorization of mobile aisle shelving make them ideal for any kind of long-term records storage your business requires. Particularly in industries that require long-term record retention such as healthcare or government agencies, mobile aisle shelving allows you to easily store and organize records in an out-of-the-way area that will free up workspace while still being easy to access. If you run a retail facility or any warehouse with a constant influx of items, mobile shelving can help increase the storage space you have in the ‘back of the house’. Using aisle shelving to store excess inventory will free up space on the shop floor or at the storefront, allowing you to better display your inventory while making sure you have plenty of backup inventory to meet your customer’s needs. In any warehouse that depends on picking inventory and locating items, mobile aisle shelving can greatly reduce the amount of time it takes to locate needed inventory and supplies. By clearly labeling what every shelf contains, workers can access the items they need much more easily and without creating a lot of aisleway traffic thanks to the compact design of mobile aisle systems. If you think mobile aisle shelving can help your facility work more effectively and retain more product, contact Shelving.com today with any questions you might have!